There’s a decent sized group of horror movie buffs who attribute great cultural insight to any number of films. There’s apparently social commentary in just about every inch of George Romero’s work and Dracula as well as Frankenstein’s monster are men out of time. Who knew. When a movie comes along, still adhering to a great many of the genre’s finest points, that chooses to eschew any sort of artistic pretense, it should be noted. 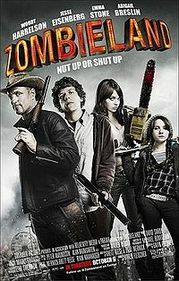 And yeah, that might be a bit difficult today, I’m sure Saw is somehow relevant to the world’s hunger problems or something, but Zombieland is so void of any proper intent that even such a meaningless film should be thought of as stellar entertainment. Well, if you’re loaded at least. 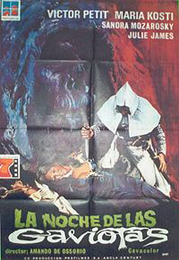 First off, I’d like to note that it took me almost a year to wade through Amando de Ossorio’s Blind Dead movies. Why? Well, they’re kinda boring. What’s interesting about the series, though, is the fact that the disparate films don’t have any connection to one another apart from the appearance of the slow moving Templars. Yeah, there’s ritual killing and all its trappings in each of these efforts, but no recurring characters, no references to earlier plots. Nothing. Of course, seeing as the films were all released within five years might have meant the filmmakers didn’t have too much time to belabor a proper narrative development.